Want the unlimited luxury lifestyle? Become a member! As commercial air travel continues to become ever more stressful, the Miami Romantic Air Tour with Champagne offers you and your significant other the unique opportunity to enjoy an intimate 40-minute flight during which you can relax and marvel at all the breathtaking scenery that makes Miami a magical city. 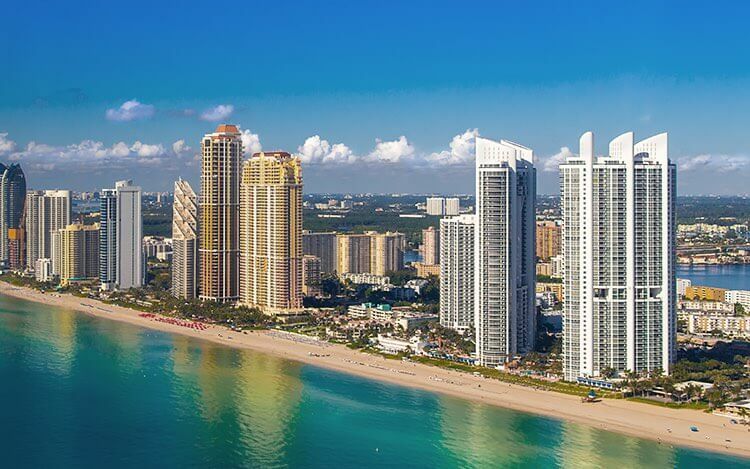 Soaring over Miami proper, South Beach, and Biscayne Bay, your expert pilot and private guide will map out the perfect route for you to see the area’s most famous attractions, including Fisher Island, Calder Casino and Race Course, and the Miami Seaquarium. You choose your departure time, which means you can opt for a riveting early morning flight, a relaxed midday outing, or a stunning twilight excursion. All flights depart from North Holly Airport, and direct hotel-to-airport ground transport can be arranged. Whenever you set out skyward, you’ll enjoy a complimentary bottle of champagne to share as you climb high above the Magic City. © 2019 JW Marriott Miami Turnberry Resort & Spa. All Rights Reserved. Notice: Turnberry Development, LLC is the Owner of the Turnberry® Trademark but has no Affiliation or Involvement with the JW Marriott Miami Turnberry Resort & Spa and the Turnberry Isle Country Club other than as Licensor of the Turnberry Trademark.